“The response to the emergency event along the Houston Ship Channel was an amazing effort led by the port community,” he remarked. Campo highlighted the “valiant” efforts of the Port of Houston Authority firefighters responding to the emergency. He made the remarks at the March Port Commission meeting. 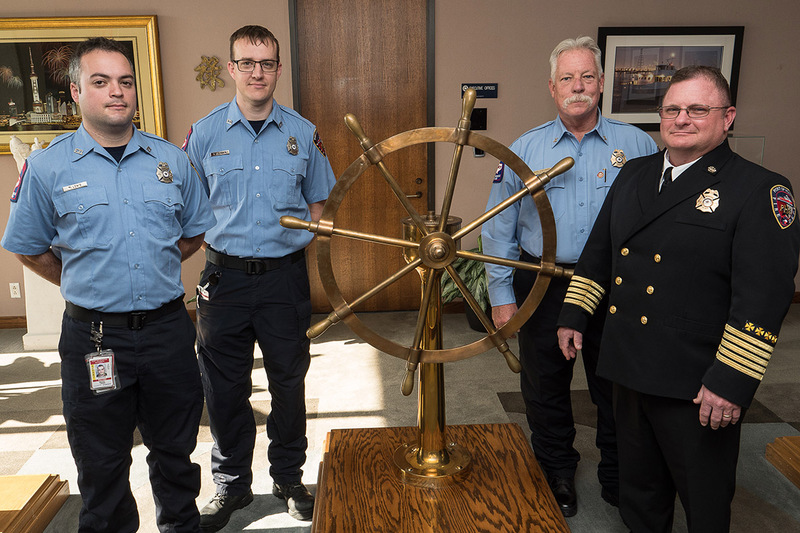 Guenther reported that between March 17 and March 26, Port Houston firefighters spent 2,300-man hours worked on this incident and at least two of the three fireboats worked continuously throughout the event. Initially, the tank fire farm was extinguished but re-flashed a few days later. Two fireboats remained in the vicinity conducting air monitoring for the safety of the surrounding communities. On Friday, March 22, the fire re-flashed shortly after chemicals and the water foam mixture from fighting the fire leaked into the channel via a drainage ditch. Guenther noted that Port Houston’s firefighters immediately moored one of the fireboats and began providing firefighting water, while the other fireboat was stationed at the mouth of the drainage ditch to extinguish any fire before it reached the ship channel.